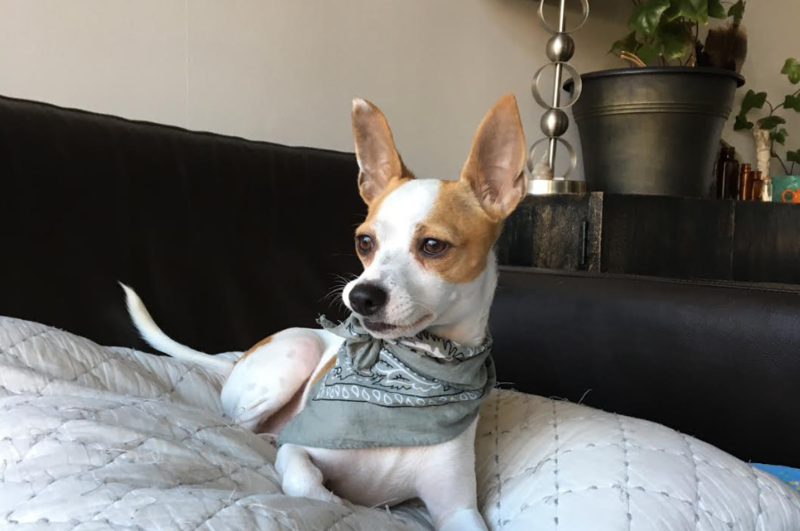 Harley is a 2 year old white and tan rat terrier weighing 4.6kg. Hello! My name is Harley and I’m here to tell you I’m adoptable and ready to find my forever home. One more thing you should know about me is I love attention. When I get excited I like to jump up and around like a kangaroo. I like toys and playing but when I’m not doing that I like to cuddle with humans. I’ll give you some kisses to let you know I care about you before I settle down to lay next to you. I’m great with dogs of all sizes. If you think I’m the right dog for your family please fill out an adoption application for me!